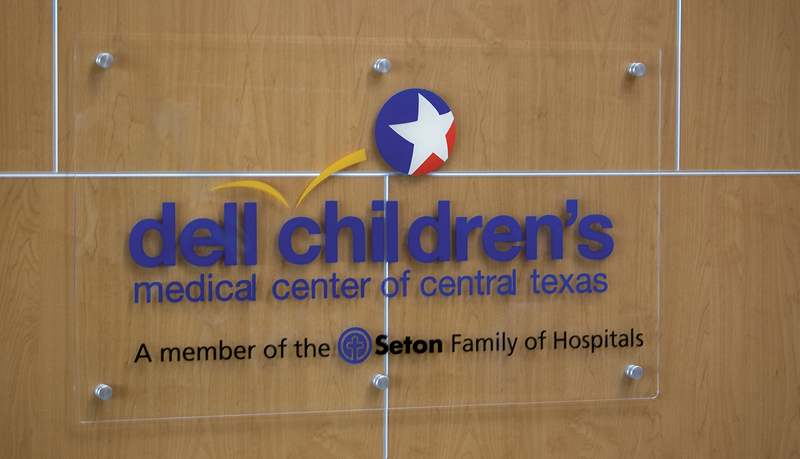 Dell Children’s Medical Center of Central Texas, a member of the Seton Family of Hospitals, is the first LEED® Platinum hospital in the world. 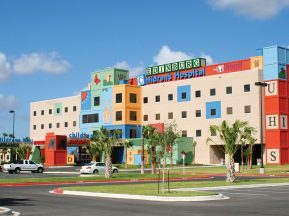 The hospital is the only dedicated, freestanding children’s hospital in the Central Texas region and offers a wide range of pediatric services. 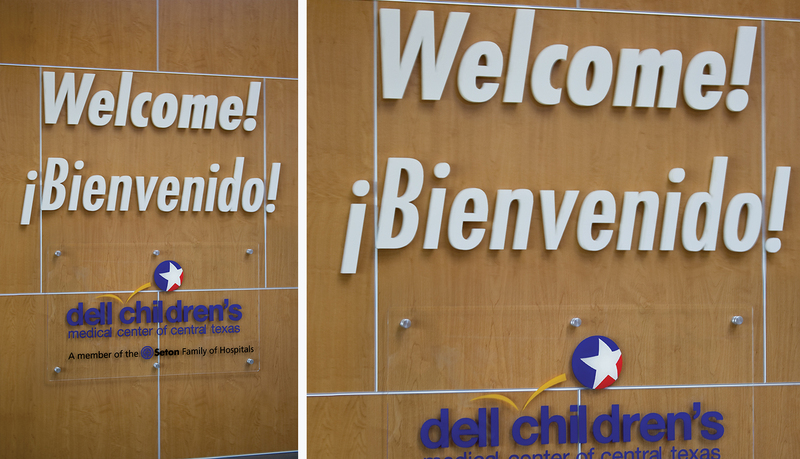 Because the Dell Children’s Medical Center of Central Texas was seeking to attain LEED Platinum certification through the USGBC, it took meticulous care throughout the project to ensure that every element and material fit in with its green building philosophy. 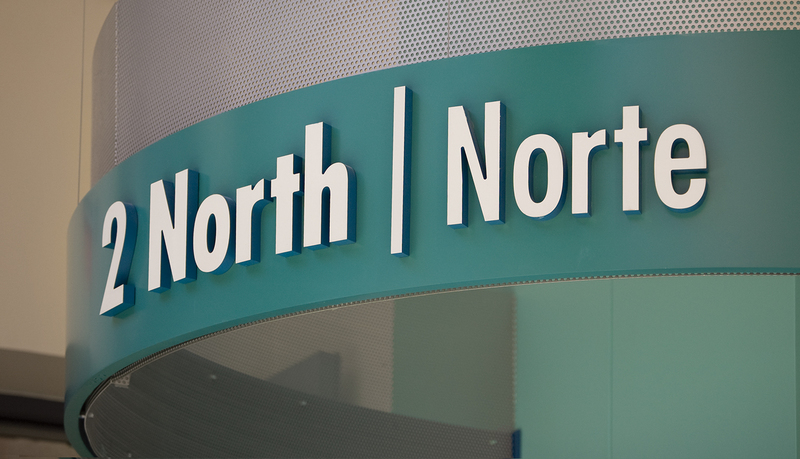 This outlook applied to the interior signage system as well – regardless of the fact that wayfinding signage does not contribute to LEED points. ASI was selected by Karlsberger based on a previous relationship and project experience. 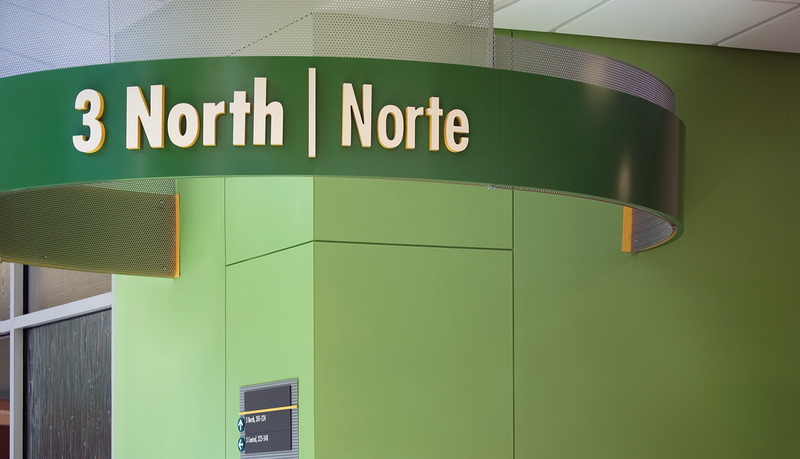 Karlsberger was impressed with the flexibility and updateability of the Infinity™ modular line of signage and specified it for this green project. Additionally, the Infinity line incorporates recyclable materials and is produced with a low VOC, polyester, water-based paint system and a chrome-free priming process. 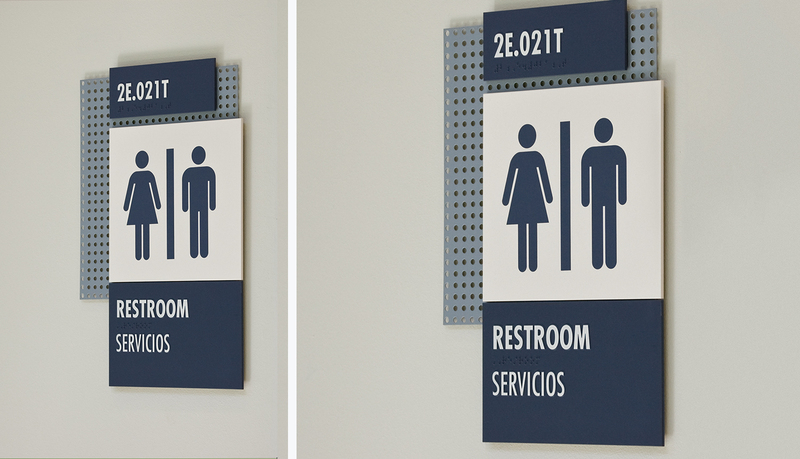 Each sign type throughout the facility was designed around the Infinity system’s modular components. 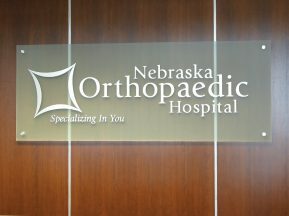 The hospital started with Infinity’s patented, powder coated chassis, then selected additional components to create each sign type. The result was a signage system that is easily updated and expanded with minimal contribution to the waste cycle. 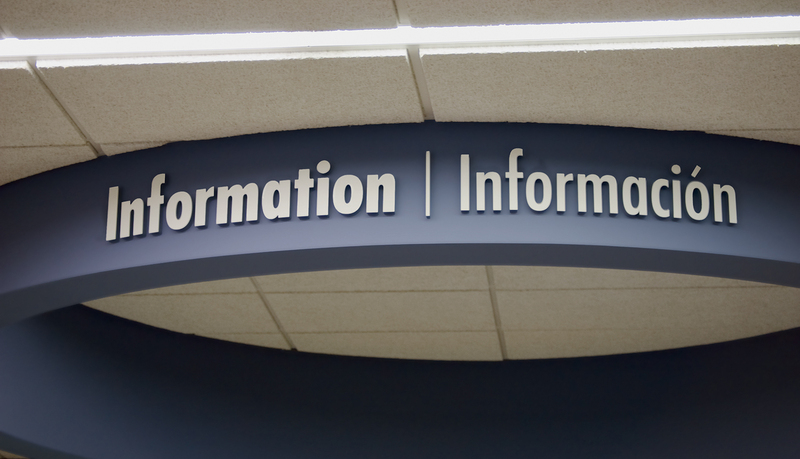 The comprehensive system includes room IDs, suspended directional signage and regulatory signage. 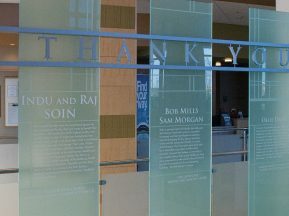 ASI also supplied dimensional letters throughout the facility to identify key areas such as the information desk. 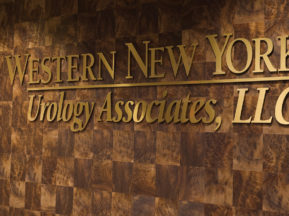 Additionally, ASI created unique custom patient tower wing IDs. 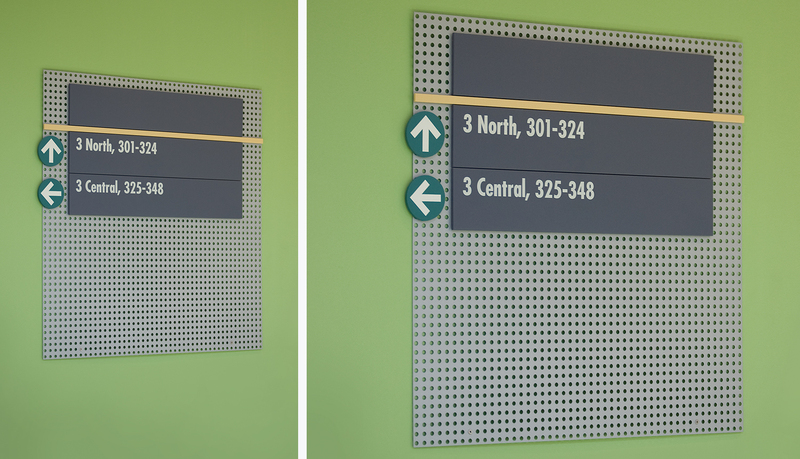 These IDs reflect the materials of the Infinity signs while providing clear wayfinding for visitors and staff.